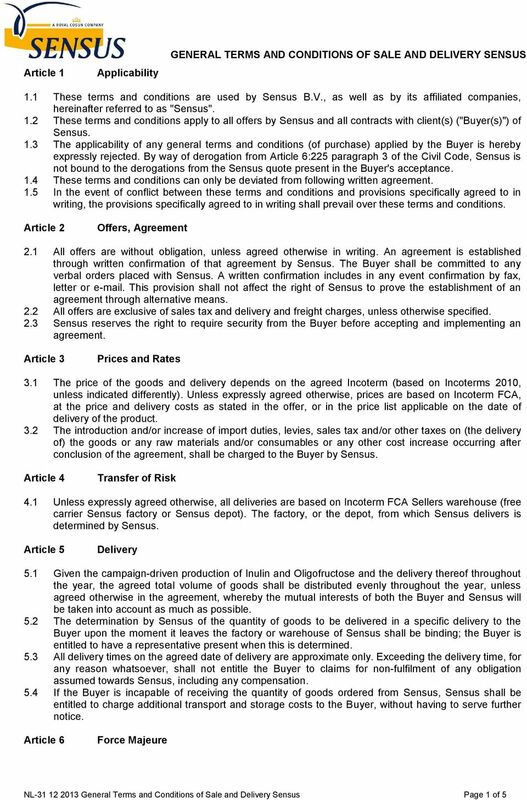 Download "GENERAL TERMS AND CONDITIONS OF SALE AND DELIVERY SENSUS"
DEXTER DESIGN B.V. Article 1. Terminology and applicability Article 2. Offers Article 3. Acceptance Article 4. Prices Article 5. 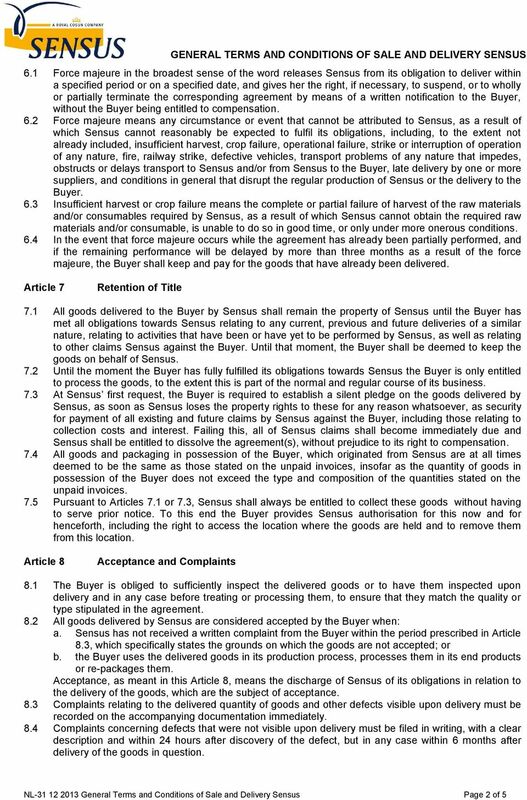 DUIF S FLORIST ARTICLES B.V.
General Procurement Terms and Conditions of SMEPRO INTERNATIONAL B.V.
General Terms and Conditions. Horatio Assurance Group B.V. Horatio Accountants B.V. Horatio Schade-Auditors B.V.
General Terms of Sale and Delivery of Spirotech bv in Helmond, The Netherlands. 1 Applicability of the general terms. GENERAL CONDITIONS OF SALE AND DELVERY of the Audipack Group of companies established in Moerkapelle (The Netherlands) (1 January 2006 rev. An offer, made without engagement or otherwise, cannot be revoked by the Contractor after acceptance by the Principal. Registered with the Chamber of Commerce of Rotterdam on 9 August 2010 under number 24492873. General conditions for the food and luxury business, determined by the Stichting Centraal orgaan voor de Voedings- en Genotmiddelenbranche (COVEG). 1.2 Where applicable, the term goods" in these conditions also include services. 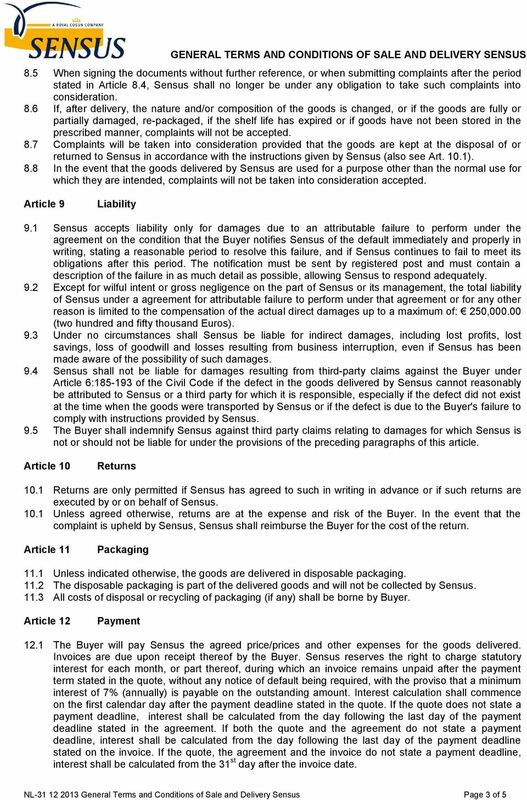 GENERAL TERMS AND CONDITIONS BDO Accountants & Belastingadviseurs B.V.
GENERAL TERMS OF DELIVERY BRONKHORST CORI-TECH B.V.
General Terms & Conditions - LEOXX B.V.
3.2 Prices are calculated for delivery ex works, unless explicitly stated differently. 1.1 These General Terms and Conditions are applicable to all offers, quotations and/or contracts of Life After Football (hereinafter: LAF ). 2.2 Stipulations deviating from these conditions must be agreed in writing. Translation from German. 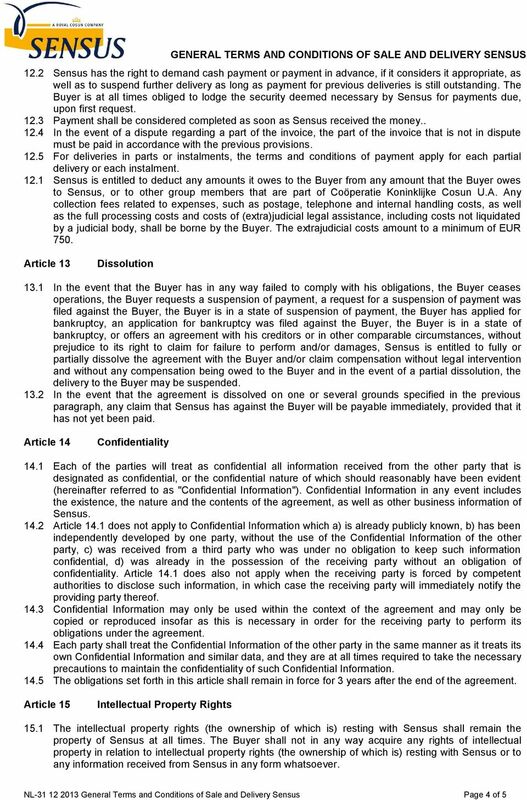 GENERAL TERMS AND CONDITIONS of mangoart GmbH Bräuergasse 11, 4470 Enns, Austria +43 7223 / 912 78, office@mangoart. 2. Offers or quotations made by WorldStream B.V. are valid for 14 days unless specified otherwise. General Conditions. The only legally binding General Terms and Conditions are those in the Dutch version. 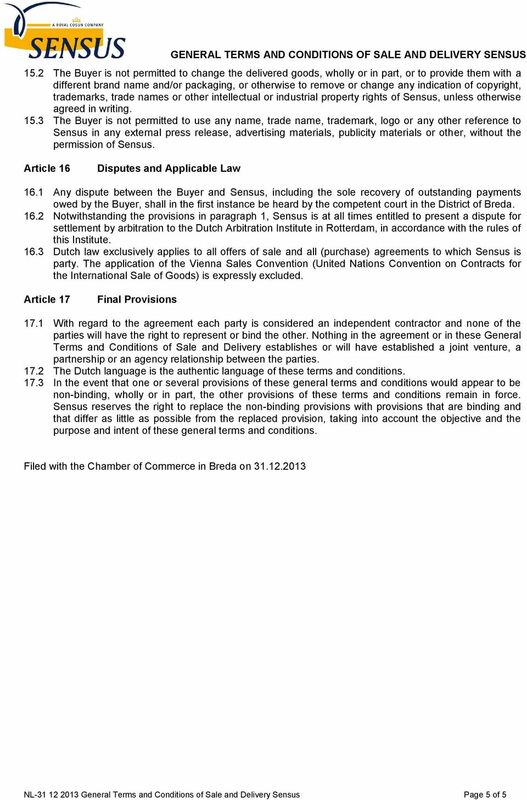 General On-line Terms and Conditions SeeMe Business B.V.